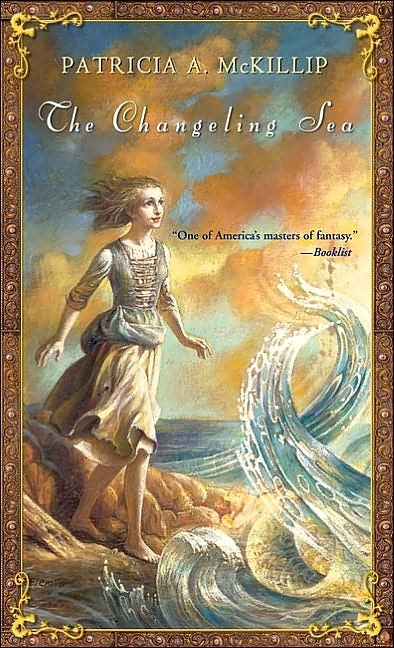 It's no secret that Patricia McKillip is a most beloved author for so many fantasy readers. I discovered her late in the game, when I ran across a beautiful reissued omnibus edition of The Riddle-master Trilogy in a Barnes & Noble several years ago. After finishing that excellent trilogy, I went looking for any other McKillip books I could get my hands on. The result was a binge, of sorts, in which I blew through six or seven titles without a by-your-leave. And it was an immensely good time. But it did result in a little bit of fatigue, as her writing style is very specific and lyrical and I wound up needing to cleanse my palate a little after. Since then I've re-read a few of my favorites here and there, particularly the Riddle-Master and The Book of Atrix Wolfe , but not since The Tower at Stony Wood 's release have I picked up one of her new ones. 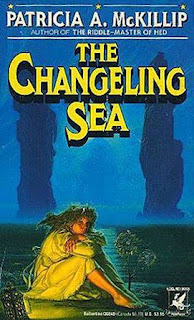 While I was perusing the McKillip section on my shelves the other night, the slender little volume The Changeling Sea caught my eye and I got to thinking it might be time to get back on the McKillip wagon. Originally published in 1988, this young adult fantasy has stood the test of time. Firebird put out the pretty little edition pictured on the right in 2003 and, having worked hard to find my own used copy, I was happy to see new life breathed into it. I also think it's the most accurate artistic representation of Peri herself and the spiraling, mesmerizing tone of the novel. She is not beautiful or poised or charming or sweet. But she is kind and determined and involved in unraveling the mystery from beginning to end. She earns the trust of the men around her before (if) she earns their love and we (and they) are frequently reminded of her flaws, from scraped knees to a nose on the large side. Urchin from top to bottom, it is most definitely what's inside that matters with this girl. And it matters quite a lot as so many come to depend on her, including the unusual and wondrous creature from the sea who is himself not exactly what he seems. As is always the case with a McKillip tale, the poetic language and gracefully interwoven magic lend a golden glow to the whole. At the same time, this is one of her more "real" stories. Peri is so real. Cloaked in the unreal and unbelievable elements around her, she remains focused and bright. Clocking in at a scant 144 pages, it is also a prime (and all-too- rare) example of a book I don't wish longer. It's perfect just as it is, especially the ending. The briefness only accentuates the sweetness and strangeness and I never fail to finish it at ease with my world and hers. You're right about McKillip - she's a staple of fantasy lovers. I loved this one! (I should go back and re-read it, probably) Nice review! I absolutely love this book. I've never tried to work out what my "best book of all time is" but if I did, this would be right up there as one of the top contenders. I reread it every so often (most recently last year) and it always stands up to the test of time. It's just a beautiful little book and certainly deserves it's place in this series of special books. I haven't read this one for ages...I must go back to it. And I'd like to revisit some of her new books, that I've read just once- they still feel a bit like strangers, even though I enjoyed them. But for me, nothing comes close to the Riddlemaster trilogy! I always feel like an inauthentic fantasy reader for not liking McKillip! Maybe I've read the wrong books - what would you recommend as a good starting place? This, or something else? 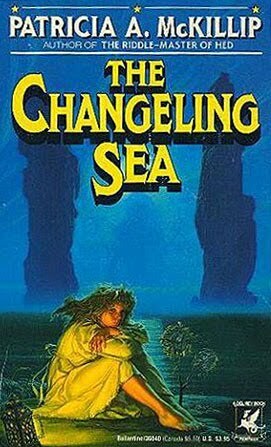 It has been years and years since I've read a book by McKillip and I ran across The Changeling Sea a few weeks ago and picked it up. I'm glad to hear you enjoyed it. Great review. It makes me want to grab my copy and read it again straight away! 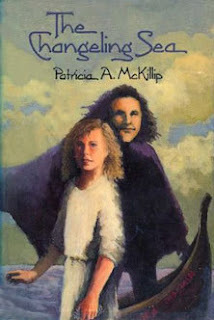 I adore Patricia McKillip's books - so hard to name a favourite among them. Every one is like a dream. What a great review! I loved this book when I was younger and re-read it many times. Next times I go back to my parents house I'm going to have to see if I can find it again! I love this book so very much. I have a greatly battered copy with the GORGEOUS Michael Whalen cover; when it was reissued I bought half a dozen so that I could give them away as gifts. It really is perfect, just as it is. Now I very, very much want to reread. celi.a, she really is. And I understood why the minute I started THE RIDDLE-MASTER. Wow, I love that trilogy. Kerry, aw, that was lovely to hear. I'm so glad it's on someone else's beloved bookshelf. Charlotte, agreed. That trilogy stands alone. I definitely feel like re-reading them now. Jenny, I know how you feel. I could lose my card for the way I fail to respond to Diana Wynne Jones' books. *sigh* But if you haven't read THE RIDDLE-MASTER yet, I do recommend giving it a go before calling it quits with McKillip. Jane, awesome. Have you read it before or will this be your first time? Jenny, they truly are dreamlike. And I've been away long enough it sounds nice to dip back into the dream. Heather, you should! Which copy did you have, do you remember? As I never heard of Patricia McKillip but it sounds like something I could like what's a good starting point?